If you are looking for solutions to single point or multiple point panel alarm monitoring, then why not visit us and see a demonstration of just how easy it is to set up and configure the gas detection control panel. If you have already purchased gas sensors from others it is never too late to integrate them into our MCU. Questions regarding what type of inputs /outputs are required, alarm level configurations and a complete specification can be sized up to meet the exact requirements for general industry and also Ex applications. The MCU (monitoring and control unit) can be used with most types of gas detectors. It accepts single or multiple inputs not just from gas detectors but also from various types of sensors. The graphics allow a status display of each channel and the set configuration which has been programmed into the unit. 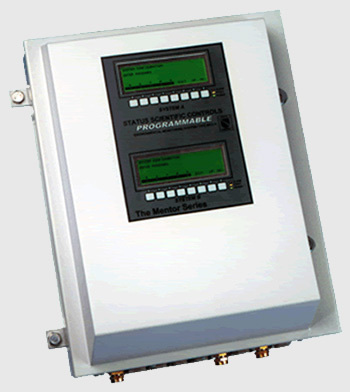 A built in data logger is standard and so is a repeater of 4-20mA and voltage outputs. In cases where intrinsically safe gas detectors or sensors are being monitored, the MCU can be supplied together with a barrier unit which will produce an intrinsically safe circuit. What are the Benefits of the Sensor control unit? The alarm and monitoring system can be used with fixed gas detector heads – however, certified types require use of an integral safety barrier. Graphical displays with backlight with the ability to display trend data in graphical form. Which type of graphical display do you require? We have other options according to your requirements. Menu selection via push buttons on front panel. A demonstration in our facilities will explain how easy it is to set up the system. Integral sealed lead-acid standby battery. This is important when there is a loss of power. Is your electrical supply reliable at all times? Integral safety barrier option for each channel. 3 control relays per channel providing LOW, MEDIUM & HIGH alarm level contact outputs for each channel. Common alarm relay contact outputs providing LOW, MEDIUM & HIGH alarms plus FAULT conditions on any channel to power external equipment. Do you a require a lockable door? This option is standard. Water and dust proof to IP66. Is the installation location exposed to the elements? Compatible with most industry standard gas detectors and other sensors. For installation assistance in Singapore, contact Eastern Energy Service's team of technicians who can configure the units for your gas detection needs. 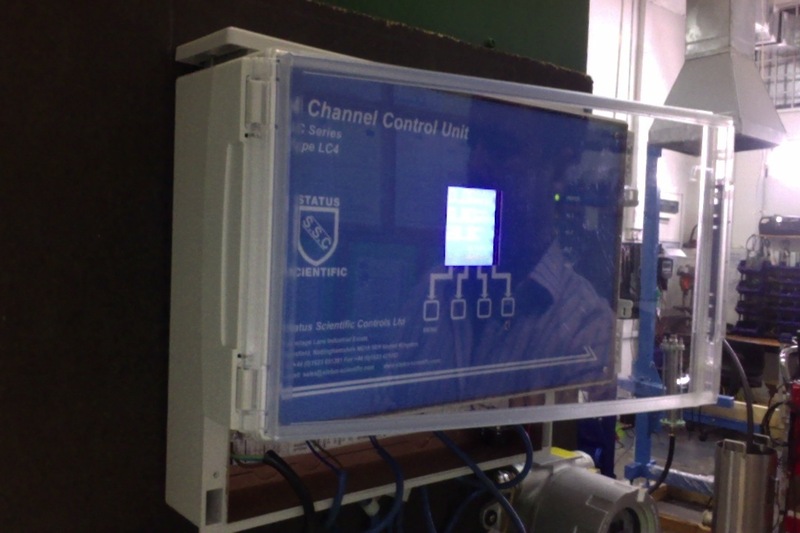 Clients have the option of visiting our facilities in Singapore to see the multi channel MCU Panel Demonstration and testing the parameters with any brand of gas detector. For testing and more information, please call our main office number. Which type of gas is being measured? Possible Gas Detector Applications List. If your gas not appear in this list, please contact us to verify the suitability of our detectors.